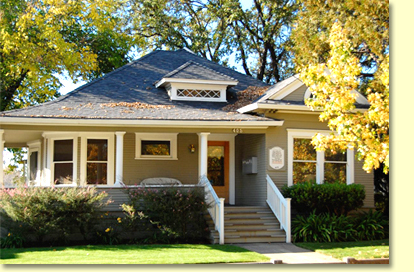 We are a diverse group of experienced psychotherapists, each in private practice with offices at Chinn Street Counseling Center in Santa Rosa, in Sonoma County, California. We offer a full range of high quality services to people who want support for life's challenges. Our clients can choose from brief solution focused counseling or in depth psychotherapy. While we cooperate with existing insurance and managed care companies, our "fee for service" orientation allows our clients the freedom to choose the therapist with whom they feel most comfortable. The focus of our work is on personal attention to the individual client. We consider human contact and confidentiality essential to the client's emotional safety and well-being. We respect the individual's needs and growth process. As a community of therapists we emphasize collaboration and consultation in order to offer the best possible services. 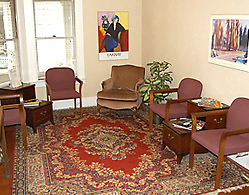 We are dedicated to making Chinn Street Counseling Center a truly nurturing and professional environment. Shoshona Pascoe, MFT: "INTROVERTS AND EXTROVERTS: The North and South of Temperament"
Shonnie Brown, MFT: "'I Just Can't Help What I Feel!'" Barbara Bowen, LCSW: "Balancing the Needs of Self and Others"